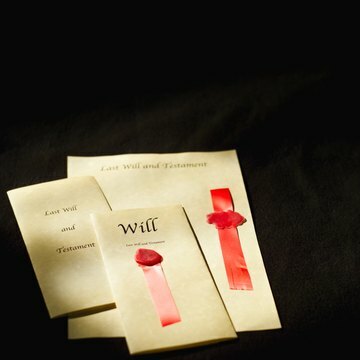 Probate is the act of gathering the assets of the deceased, paying his debts, distributing remaining assets to beneficiaries or heirs, and closing the estate. That job is handled by an executor, who is named in the deceased’s will or appointed by the Probate Court. In Connecticut, priority claims must be paid first. These include funeral expenses, estate’s administrative expenses, medical bills for last illness, taxes, and wages due any laborers. Once these expenses are paid, the court will consider the creditors’ claims. The executor typically does not pay a claim until the Probate Court approves. An estate in Connecticut is presumed to be solvent until proven otherwise. The Probate Court makes this determination at a hearing requested by the estate’s executor. The executor must present evidence of the estate’s assets and debts to the judge. This is usually done with bank records and demands for payment. The court will find the estate insolvent if liabilities exceed assets. The judge then directs the executor to notify creditors of the estate’s insolvency by publishing a notice in a local newspaper. The primary difference between settling an insolvent estate and a solvent one is timing. If the assets of the estate are minimal and not enough to pay priority claims, the executor may request the “short” probate procedure in which the court may order the distribution of assets without the usual 150-day waiting period for filing creditor claims associated with the “long” probate procedure. If the estate can pay priority and other claims, the “long” procedure must be used. Creditors have 150 days to stake a claim or be barred from recovery. After 150 days, the court requires the executor to submit a list of the creditors that were notified and a list of all claims made against the estate. An executor is obligated to determine the nature and extent of the assets of the estate and whether estate assets are sufficient to satisfy priority claims and creditors. Marshaling the assets of the estate, paying administration expenses and paying the obligations of the deceased are fundamental duties of an executor. If it appears the estate may be broke, the executor must quickly notify the court and request an insolvency hearing. The rules for settling an insolvent estate in Connecticut are complicated. Following them precisely is the best way for the executor to avoid personal liability.